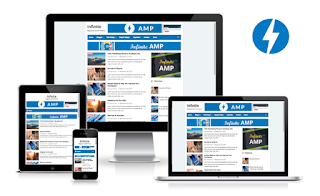 The development of AMP-based blogs is growing rapidly. Not only in WordPress blogs, but also free CMS like blogger. 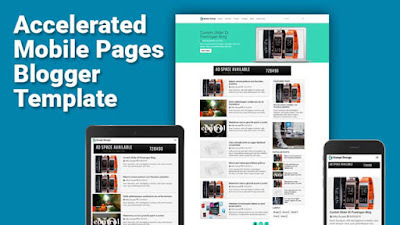 This is marked by the increasing number of valid AMP blogger templates. Although not many are made by masters such as Arlina, KompiAjaib.com, and others, but these premium-class templates you can use to learn. 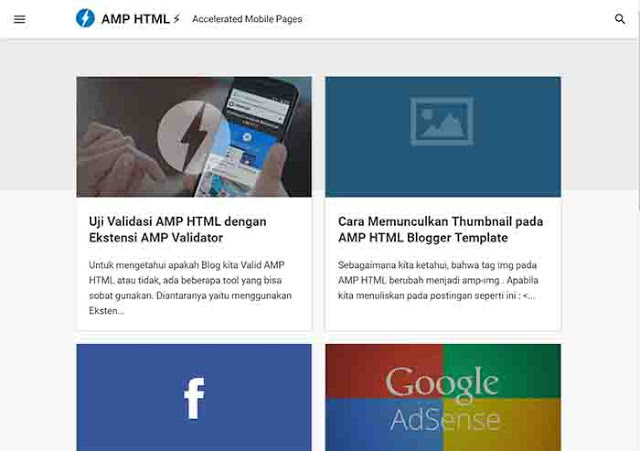 Template blogger valid AMP is completely free to use! Infinie AMP blogger Themes is created by a blogger master named Arlina which is published in IDNThemes. This template is very easy to see and of course quickly accessed because it is based on AMP. You can download it for free. Kompi-Design AMP is a template by Adhy Suryadi, who is a master blogger who has blog KompiAjaib. I personally learned a lot from him about AMP. This template impressed modern design and flat design, and can menaikin CTR Adsense you certainly. MDC AMP is a valid template of AMP works by MDC site published in Goomsite. This template is cool in my opinion, I've also used it. You can download for free you know! Well that's him 3 best valid blogger template AMP in my opinion, there is more cool? Let's comment below.